Most people are deeply protective of their respective areas and tend not to see any crossover or similarity between them. Sometimes this is true but there can be more parallels than people care to acknowledge. Loudness is a case in point, as attention shifts from television on to radio and cinema. Perceived variations in volume between different types of material is not a new issue in TV. It was recognised in the earliest days of the medium and has taxed the minds of engineers ever since. Radio has long had its own troubles with music of both wide and narrow dynamics against loud or softly spoken presenters, compounded by heavy compression on transmission. But today’s media landscape of TV and radio channels sharing both the same platforms and some of the same material means it is not confined to one area. Despite this commonality there are still enough specifics for TV, radio and cinema that need to be considered individually, with work progressing in all three. There has been some form of loudness control available to broadcasters for at least 30 years. The 1990s saw more awareness of the problem but standardisation and widespread implementation of loudness monitoring, metering and control did not come in until the 2000s. The ITU issued its BS 1770 in 2006, with the lead followed by regional and national bodies, including the EBU PLOUD group with R128 in 2010 and the ATSC in the US, whose A/85 is backed by law in the form of the 2010 CALM (Commercial Advertisement Loudness Mitigation) Act, which became fully enforceable in 2012. All three have been updated or revised recently to accommodate particular areas of production. A supplement to R128 was released at the end of 2014 to cover short-form material, including commercials and promos. The original guideline was +3 LU (loudness units) but Florian Camerer, ORF sound engineer and chair of PLOUD, explained at the time that this was found to be “too restrictive”, so it was opened up to +5 LU. The publication of R128 S1 and changes in production priorities has brought about revisions to three of the standard’s four supporting Technical Documents. TD 3341 Loudness Metering: EBU Mode now includes an expanded range of test signals, including for True Peak; 3342: Loudness Range (LRA) features a tighter means of calculating LRA to bring more consistency over different meters; while 3343: Guidelines for Production has been substantially rewritten to reflect practical experience of using R128 and includes a new Reference Listening Level. Tech Doc 3344: Guidelines for Distribution and Reproduction is set for an update in the foreseeable future. Camerer comments that the consistency of loudness control is “generally very good” but that each broadcaster has the responsibility to keep “a weary eye on the situation and not let it get sloppy”. He adds that loudness levelling is becoming more the norm and almost taken for granted, as was peak levelling because it was something that just happened. “There are still countries, and of course areas like radio, where it is not as developed but things will get there eventually,” Camerer says. 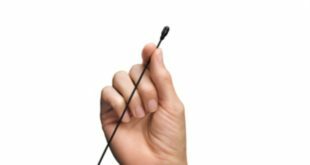 Tim Carroll, president of Linear Acoustic, comments that not only is TV loudness now more consistent but the audio has greater dynamic range. “The trick is going to be making sure it does not become uncomfortably dynamic, or else it could backfire and result in random processing,” he says. “On the subject of short-term material and momentary loudness, Carroll comments that most meters accommodated this already and hopes that now it is documented producers will manage dynamic range, which he calls “the evil cousin of loudness”, manually and creatively. 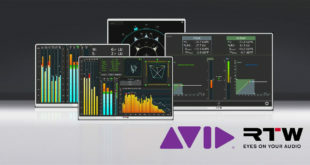 While the general consensus is to do the majority of loudness measurement and normalisation on meters in the dubbing or on-air studio, file-based software programs are also used widely as part of the QC (quality control) process through the production chain to transmission. 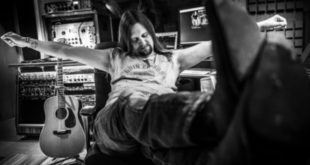 While the aim is to automate loudness checking further down the line, manual intervention will not disappear completely overnight. The Digital Production Partnership (DPP), the organisation that sets programme delivery specifications in the UK, published Technical Standards for delivery of HD Commercials, Sponsorship material, Promos and Presentation Events during January. This incorporates the R128 guidelines for short-term material and introduces an Exceptions Process for content that is “intentionally quiet”. Something approaching silence is occasionally used by advertising agencies and producers for creative purposes; the potential problem in an automated environment is that it would be normalised to -23, thereby ruining the effect. 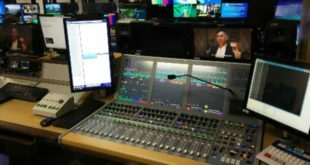 A lot has happened with TV loudness in a relatively short time but it is clear there is still some way to go, both in fully implementing the standards and getting them to work in all broadcast applications. 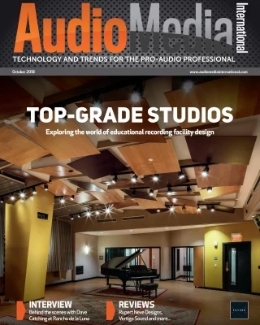 While the audio-only medium is not completely unaware of the implications of loudness and its various standards, it is still in the early stages of coming to terms with it all. The first country to embrace R128 for radio was Norway. In February 2012 the three DAB digital radio operators, public broadcaster NRK and commercial counterparts P4 group and SBS agreed to monitor and report their own and each other’s output for loudness compliance. Because those involved concluded that radio content is very different from that of TV they set an average target of -15 LUFS instead of -23. Camerer commented at the time that he hoped the Norwegian radio broadcasters would settle on -23 when the country switched off its FM transmitters and moved fully to DAB+ in 2017. While Swedish broadcasters have carried out loudness tests for radio Germany is now moving the issue on. 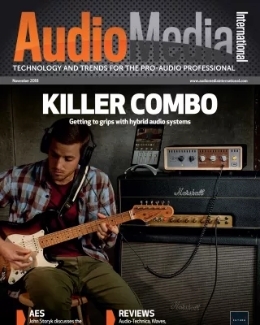 While radio is starting to come to terms with loudness an equally venerable medium that has had its own battles with high volumes is coming under closer scrutiny. Back in the 1990s and into the 2000s there were concerns about the high playback levels of films. That situation appears to have changed but the wide dynamic range used by re-recording mixers in big dubbing theatres still poses a problem in achieving reasonable levels that satisfy all cinemagoers and the artistic aspirations of filmmakers. Camerer confirms that there is “quite some activity in SMPTE and the AES” to agree suitable guidelines for cinema loudness. 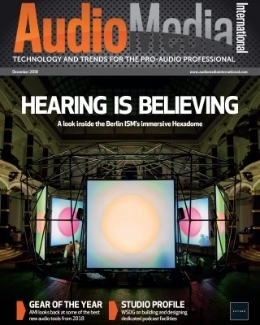 Under the auspices of the latter organisation he is working with Eelco Grimm, a member of the Sound for Digital Cinema and Television technical committee and co-owner of Grimm Audio, on a metric for cinema loudness, based on ITU 1770. “The issue is that most cinemas in Europe actually turn the level down because audience complaints are frequent. As cinemas move towards even more loudspeakers with Dolby Atmos and Auro 11.1, the ITU has updated its original standard again as BS 1770-4 to include immersive sound systems. And with continuing evolution in cinema, radio and TV, dealing with loudness is clearly not going to be a fixed discipline either. 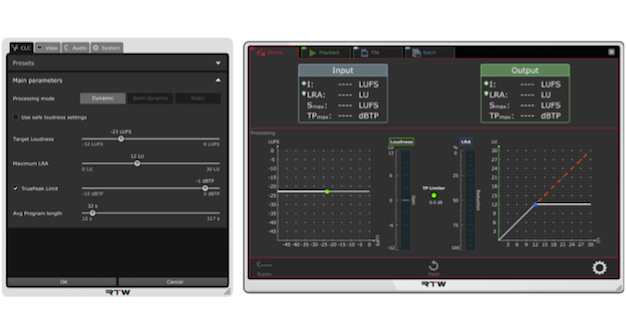 Main Image: The CLC (Continuous Loudness Control) software from RTW.